We all know about the pain associated with arthritis especially if you have a parent or grandparent that has osteoarthritis. The pain is usually very unbearable and sometimes even crippling. Osteoarthritis usually occurs from the normal loss of cartilage that is usually associated with becoming old. The cartilage is damaged or worn away just from everyday activities. The pain will vary from person to person and it will have its good days and bad days. Arthritis is widely noted as the one of the most common reasons for disability in America. 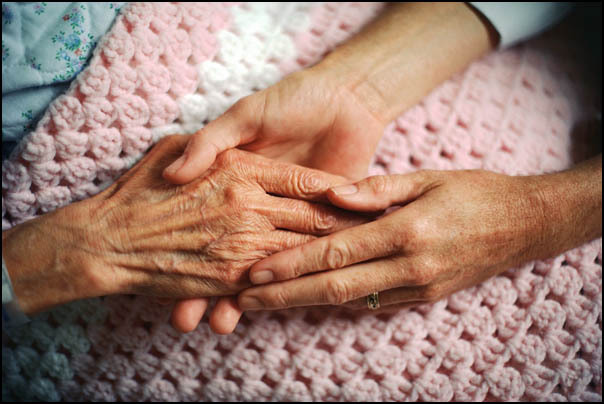 However, there are several things an elderly person could do to help ease the pain. Most elderly people should have a senior home care to help keep everything in order. These are some simple things you can add to your senior home care to help with arthritis. You should make exercise a key part of any senior home care . Even though arthritis can create a lot of pain when you move, it is very important to make sure you do get some exercise. When you don’t move with arthritis, the symptoms will get worse. This will lead to an increase in swelling and pain. There are a variety of exercises that will help combat arthritis. Everything from swimming to lifting simple weights will help ease the pain. Endurance exercises are also a great idea for anyone looking to maintain the health of their heart. A healthy heart will help decrease the swelling of some of the joints. As part of a senior home care, you should also lose a couple of pounds if you could afford to. When you lose weight, you are relieving pressure on your joints, and this will also reduce the swelling and pain that you feel from arthritis. You should also pamper yourself to massages, a warm bath, and specially designed products that will help you live with arthritis. A warm bath and a massage will relax you so you are ready to rest. Specially designed products such as jar openers, reachers, and button fasteners will increase your ability to live. Also stay on the drugs as prescribed by your doctor. Arthritis can be tricky to live with, but it doesn’t have to mean that you are done living. Once you learn to cope with the disease, you will continue to live, laugh, and love life just like you were before!